Coating bends on a new construction pipeline can present some challenges. There are certainly options, but many of them present an obstacle or two. Properly filling and sealing every aspect of that bend; including the inner diameter; has been a concern for decades. In my experience, the best product for this application, hands down, is Flexclad heat shrinkable tape. 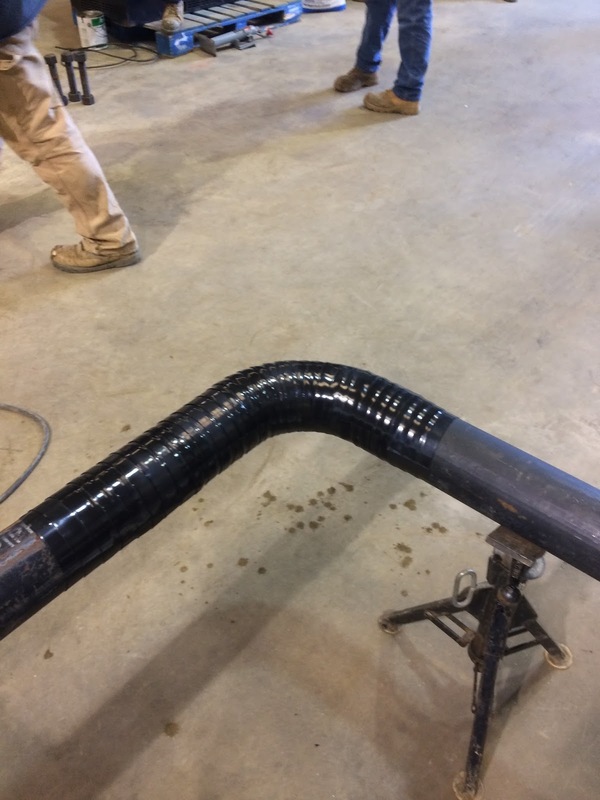 Flexclad does a fantastic job forming a cohesive, solid coating around the entire length of the bend. 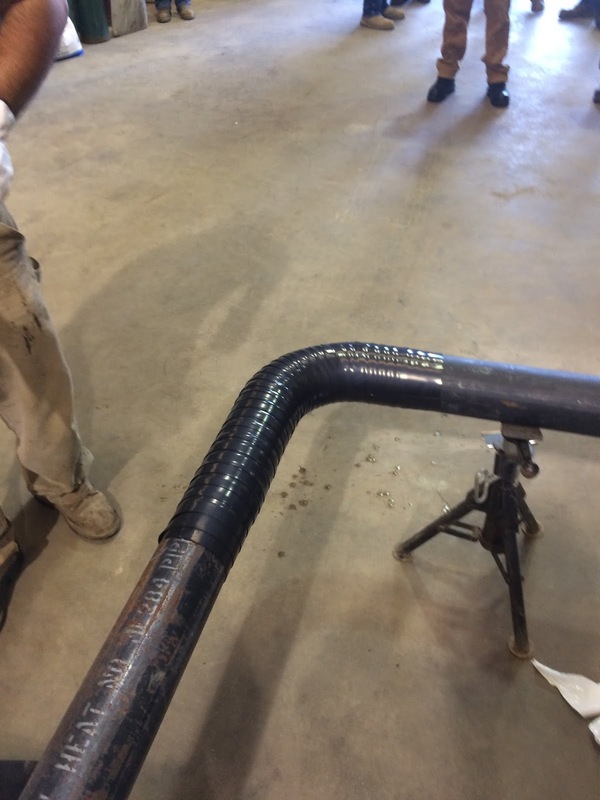 Overlapping onto itself by 40-50% and overlapping onto he adjacent factory applied coating, it offers excellent corrosion prevention and physical protection to that bend for the life of the line. If you'd like to arrange a product demo for your company or customer, please contact us today and we will work to get that arrange. Very often, we find that product nomenclatures can be different between end users, contractors and manufacturers. In those cases, it can sometimes require some detective work to determine what product is actually being requested. As one great example - let's look at an inquiry that I've seen this week. THERMOCONTRACTIL SLEEVE 2". INSULATING SLEEVE, MATERIAL THERMOCONTRACTILE, USE PIPE, DIAMETER PIPE 2', TYPE ABIERTA, SLEEVE WIDTH 2 IN, MAXIMUN SERVICE TEMPERATURES 65 *C.
THERMOCONTRACTIL SLEEVE 4". INSULATING SLEEVE, MATERIAL THERMOCONTRACTILE, USE PIPE, DIAMETER PIPE 4', TYPE ABIERTA, SLEEVE WIDTH 4 IN, MAXIMUN SERVICE TEMPERATURES 65 *C.
THERMOCONTRACTIL SLEEVE 6". INSULATING SLEEVE, MATERIAL THERMOCONTRACTILE, USE PIPE, DIAMETER PIPE 6', TYPE ABIERTA, SLEEVE WIDTH 6 IN, MAXIMUN SERVICE TEMPERATURES 65 *C.
THERMOCONTRACTIL SLEEVE 8". INSULATING SLEEVE, MATERIAL THERMOCONTRACTILE, USE PIPE, DIAMETER PIPE 8', TYPE ABIERTA, SLEEVE WIDTH 8 IN, MAXIMUN SERVICE TEMPERATURES 65 *C.
THERMOCONTRACTIL SLEEVE 10". INSULATING SLEEVE, MATERIAL THERMOCONTRACTILE, USE PIPE, DIAMETER PIPE 10', TYPE ABIERTA, SLEEVE WIDTH 10 IN, MAXIMUN SERVICE TEMPERATURES 65 *C.
THERMOCONTRACTIL SLEEVE 12". 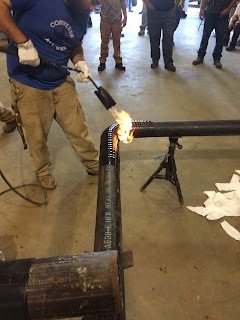 INSULATING SLEEVE, MATERIAL THERMOCONTRACTILE, USE PIPE, DIAMETER PIPE 12', TYPE ABIERTA, SLEEVE WIDTH 12 IN, MAXIMUN SERVICE TEMPERATURES 65 *C.
I can tell you from experience - searching TS2 shrink sleeve brings up absolutely nothing in google. But if you are trying to figure out what the TS product line is -- give me a call (936/321-3333) or email me (steve@jsicoatings.com) and I can help! 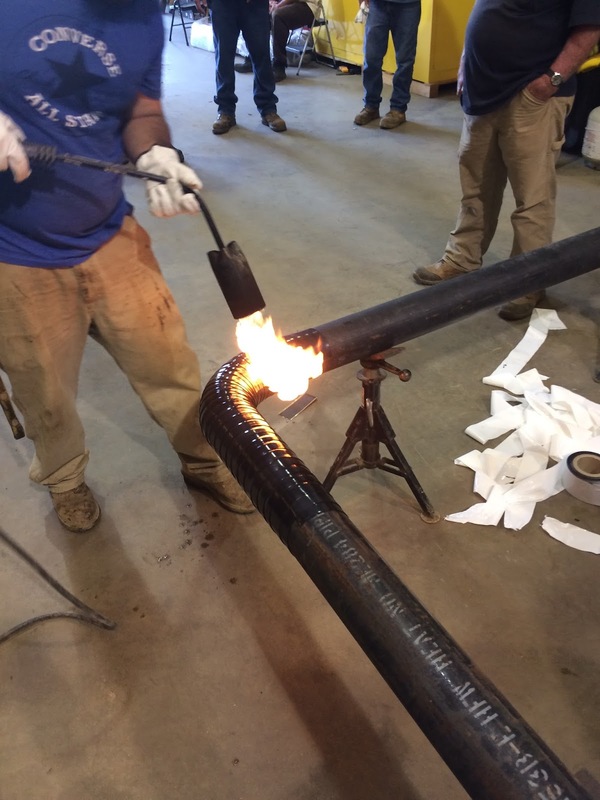 · Installing a two piece sleeve is a bit slower and labor intensive; one more thing that could go wrong if the contractor is inexperienced. · No need to stock thousands of feet in rolls at a time; inventory levels can be much more economical.